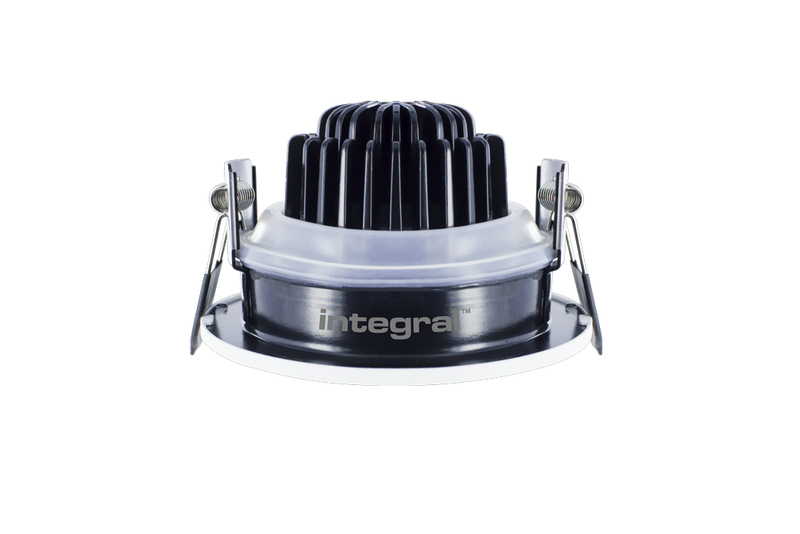 Style, safety and flexibility - Integral LED Lux Fire Tiltable downlights not only conform to 30, 60 and 90mins fire rating specifications but are also rated to IP65, so they can be used safely in bathrooms. Lux Fire Tiltable fire-rated downlights have been tailored to deliver a premium finish to any home or business with their low-glare, high-quality light and contemporary design that looks impressive in any setting. 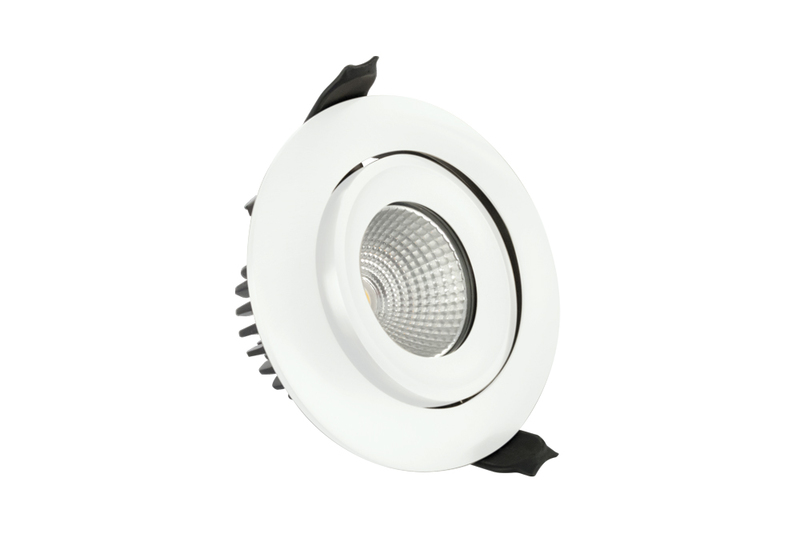 This adjustable fitting can be tilted to illuminate specific areas or features in a room. 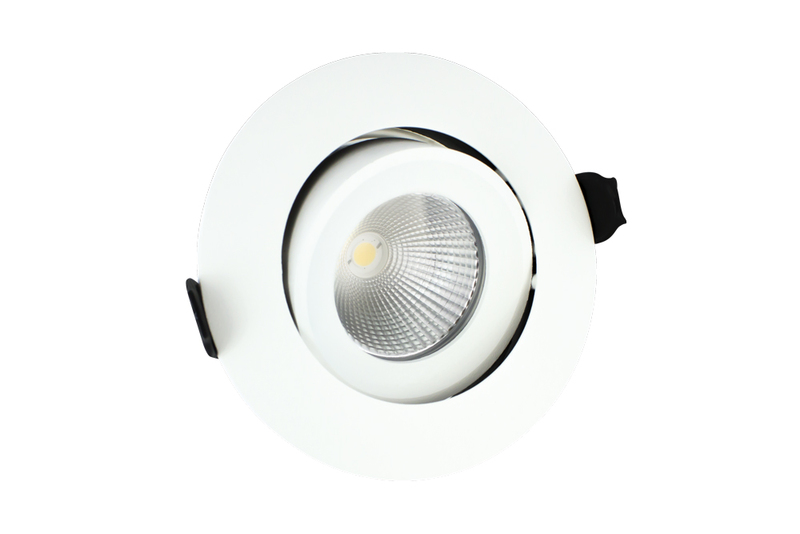 Lux Fire downlights are built using a deep recessed COB LED light source, providing a beam that has softened edges for a luxurious effect. Complete with Loop-in/ Loop-out driver. IP65 and Airtightness compliant with Part C and Part L. Resistance to Sound compliant with Part E.